You are here: Home / Eating Well / Does the best quality medical research make the news? Medical research can make for attention-grabbing headlines. But a recent audit of the types of medical studies making it into the media has found that lower-quality research is more likely to feature. News coverage of medical research ranks high for public interest for the potential new treatments and cures it promises. But looking past attention-grabbing headlines promoting the ‘breakthroughs’, is the best quality research more likely to make it into the media in the first place? A team of United States researchers looked at the press given to 75 medical articles given recent coverage in widely circulated newspapers. They compared the studies profiled in the newspapers to a corresponding set of 75 articles published in high impact medical journals over the same period of time. The types of articles audited were all considered ‘clinical research’ that had direct human relevance. You can read about the full study here. Using a systematic method to assess each of the studies, the researchers were able to make some broad comparisons. Newspaper coverage of research was only half-as-likely to profile randomised-controlled clinical trials (considered the highest quality form of research) compared to the expected frequency of publication in the journals. 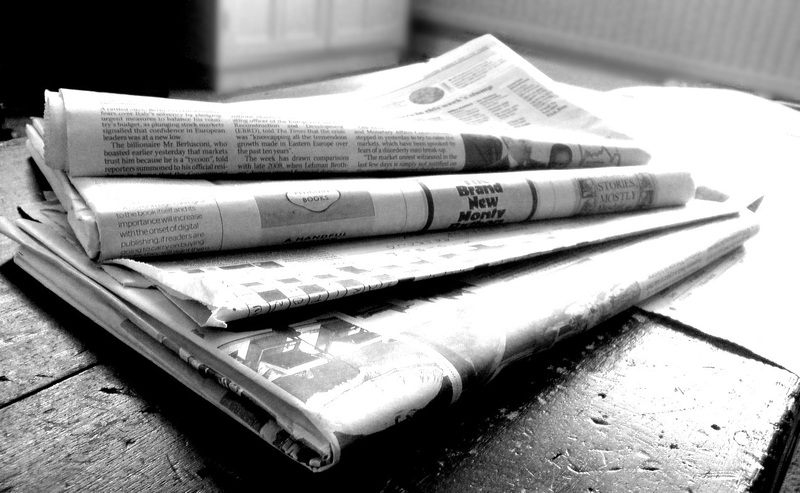 Observational studies were the most common fodder for newspaper stories (at 75 percent of stories) compared to journal publication rates of 47 percent. The observational studies that received the most media attention were also more likely to have less people studied in them and were more likely to be cross-sectional. Cross-sectional studies are considered very weak types of observational research and can throw up all sorts of interesting associations which really may just be random connections. Observational studies can be very attention grabbing for the interesting associations they can find between health and behaviour. But the key is that even the best quality observational studies can only confirm an association, not prove for example that “eating two servings of blueberries a day will halve your risk of cancer”. Observational studies can help lead into designing randomised controlled trials, but often the findings may not agree with the lower-quality research. That is why you do not often see headlines stating that “eating two servings of blueberries a day won’t cut your risk of cancer” because research that doesn’t find much does not normally make for interesting headlines. Media will choose to report on medical research that likely has the most interest to their audience, which is entirely appropriate. But always put such reporting through a filter that the personal implications may not be as strong as promoted. tim. you sure do know how to confuse your readers. … i just read your post “broccoli is bad for you , like , real bad , toxic”. … at the beginning ,and halfway through , very educational. … but then it starts in with some (fictional??) rambling on words about how “good it is for you”, and then, ultimately ends by saying : “enjoy your broccoli”. … so , which is it???? … us it bad for you? … or good for you for gods sake??? …. in my opinion , you should warn the readers that the second half of the post is gonna be “fictional stories” you decided to add onto the awesome first half of the post. … the second half of the post is so confusing, and contradictory, that it completely ruined the first half of the post.